The Triple Crown. Achieved only once in the history of motorsport. The accolade where a driver wins the Formula 1 Monaco Grand Prix, the Indy 500 and the 24 Hours of Le Mans. But here at Badger GP, we're interested in another achievement – the Triple Clown. 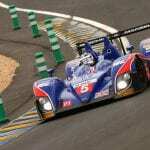 Badger's Rob Watts chats with F1, Le Mans and IndyCar* driver, Mark Blundell to learn more about the Indy500, Alonso's chances and his thoughts on motorsport holy grail. 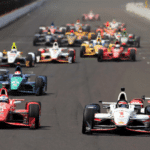 Laura Leslie gives us the lowdown on all the runners and riders for the 100th Indianapolis 500. In this week's racing digest we cover everything from a dramatic final lap of the Indy 500 through to the dramatic final lap of NASCAR's Cup race in Charlotte. Whilst watching the Spanish Grand Prix with keen attention Badger has also been keeping an eye on other events in the world of racing, and it's here for you to catch up on in our Weekend Digest.